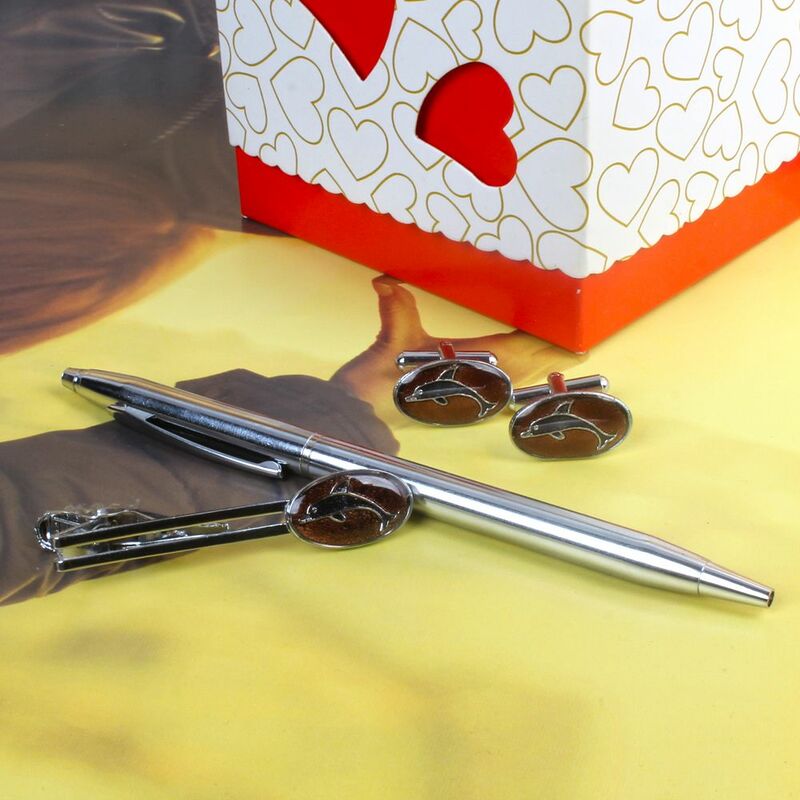 Product Consists : Silver pen, Dolphin image inscribed on gemstone Cufflinks set with Tie pin arranged in a Box. 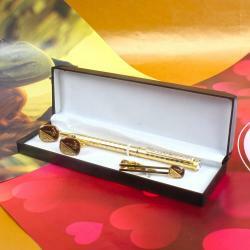 Giftacrossindia.com brings to you this very fabulous gift combo which is all set to bring smile in the face of the receiver. 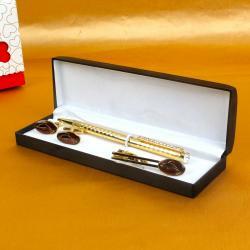 Black gift box is filled with tie pin, one pen and a set of cufflinks. 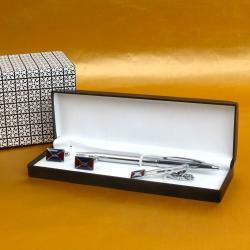 All three items of this gift combo are in silver color. 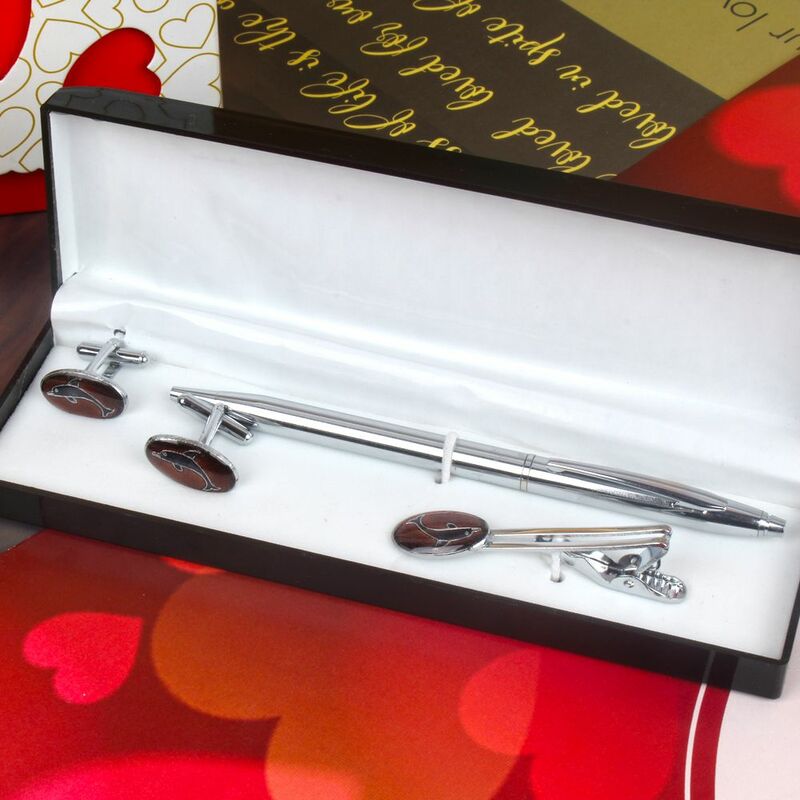 Pen available on this gift combo is adorned with silver gemstones whereas tie pin and cufflinks are adorned with silver brown gemstone. Dolphin image inscribed on gemstone makes the cufflinks and tie look more attractive. 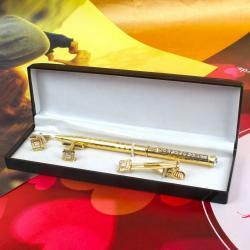 So go ahead, place your order now.Product Includes : Product Details : Silver pen, Dolphin image inscribed on gemstone Cufflinks set with Tie pin arranged in a Box.